Kids these days! Get ready for all the baby showers and first birthdays this year by checking out a roundup of our standout party themes. Click the headers for each section for a link to the catalog page. Get set for a super fun time – no tickets necessary! This gender neutral baby shower ensemble will be a hit with animal lovers everywhere. Follow your curiosities, there are tons of cute critters to meet. From baby bears and elephants to tortoises and giraffes, everyone’s guaranteed to see something they like. 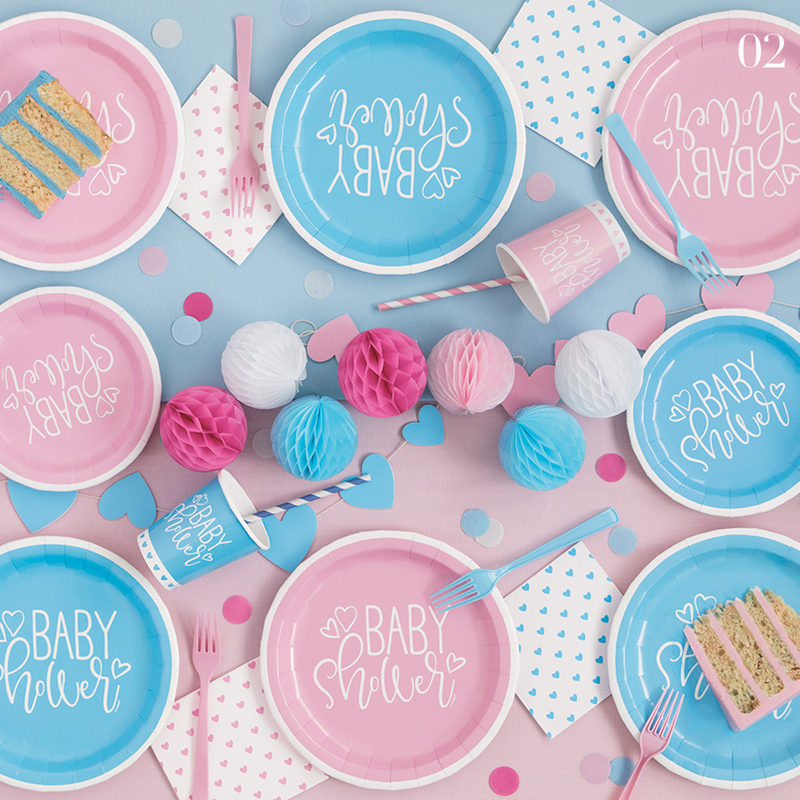 In addition to adorable tableware, our Zoo Baby Shower supplies include honeycomb centerpieces, a bunting cake topper, favor boxes, and a banner. Welcome a little boy or girl with our Pink and Blue Hearts Baby Shower supplies. 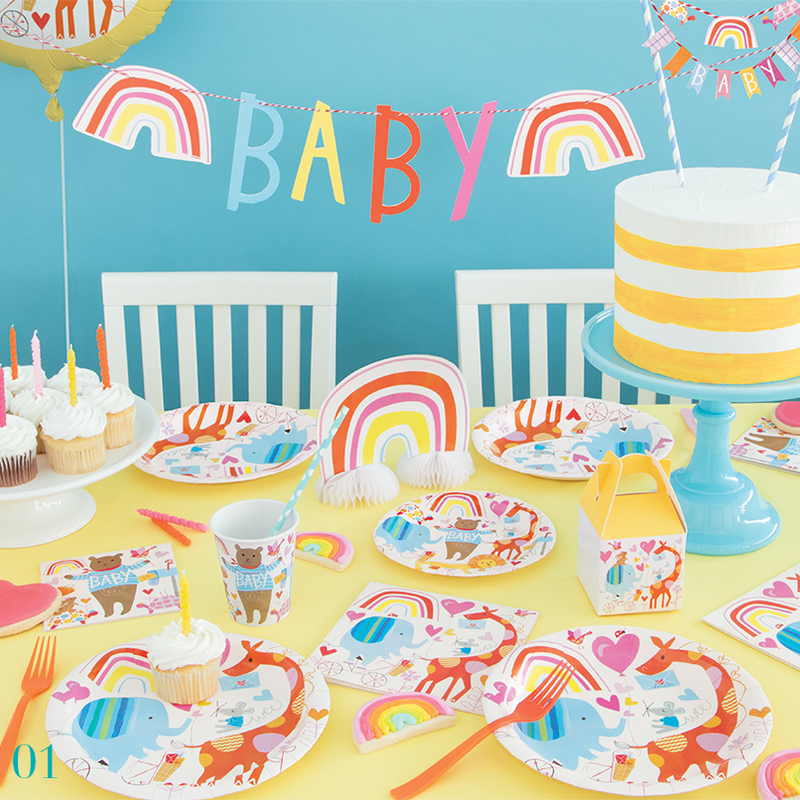 Perfect for celebrating a mommy-to-be, this all-new collection features tableware, confetti balloons, bunting cake toppers, and more. The best part? You can go all blue, all pink, or mix and match both colors for a gender reveal. Either way, the end result will be an adorable baby shower both parents are sure to love. We’re bugging out! Our Ladybug First Birthday party supplies are just too cute. 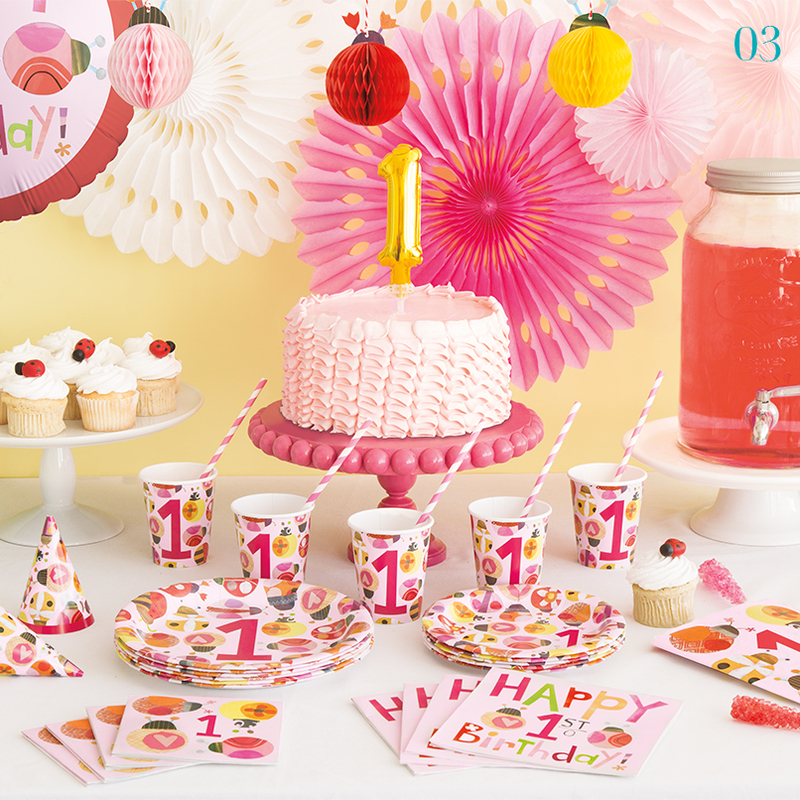 With pretty-in-pink tableware, delightful décor, and adorable accessories, this collection is perfect for any little lady’s first birthday party. Plus, when you coordinate this ensemble with our Gold Number 1 Balloon Cake Topper, the smash cake moment is sure to be extra special. While we’re on the subject of cute crawlers, how about another bug themed birthday? These beetles and bees make an adorable alternative to ladybugs for a little guy’s 1st BEE-day. An insect theme party lends itself to plenty of fun party ideas, such as a gummy worms ‘n’ dirt or ants on a log. 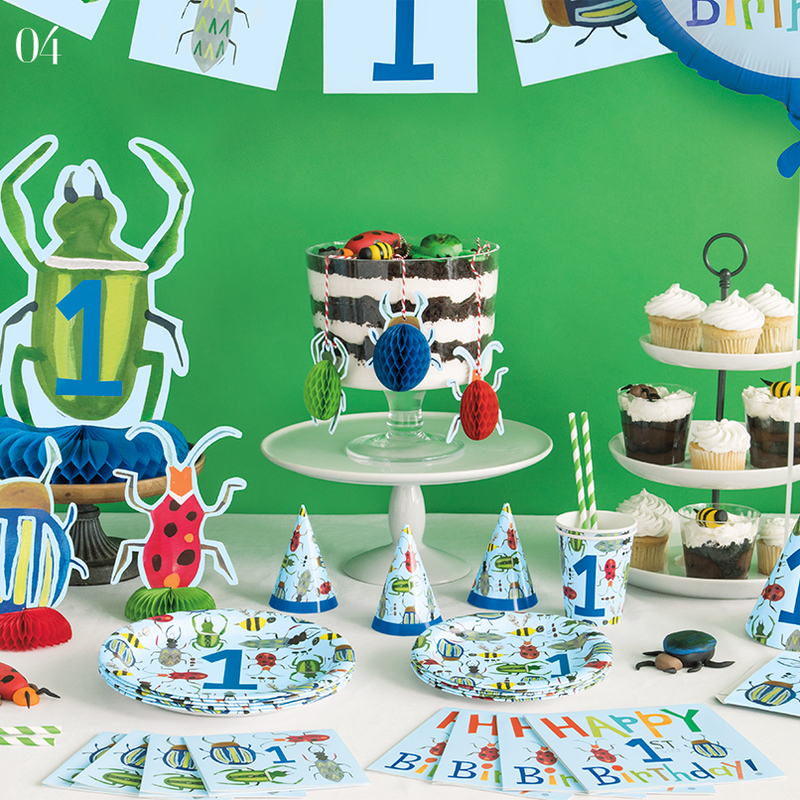 Everyone will be buzzing over our charming bug birthday party supplies, decorations, and accessories. These trends are the talk of the town, but there’s more where that came from! On our blog, we recently featured an out-of-this-world first birthday party, and a star-studded gender reveal party that are chock-full of party ideas you’re guaranteed to go gaga over.